Control Units are isolation cells within prisons where people are confined to small cells for long periods of time. Control units are a common tool of repression throughout the Amerikan prison system, frequently used to target prisoners who are actively fighting for their rights. They target Black, Latino and indigenous people who are a disproportionate part of control unit populations. Control units have various names such as Adjustment Center, Security Housing Unit (SHU), Maximum Control Complex (MCC), administrative maximum (ad-max), Intensive Management Unit (IMU) and administrative segregation (ad-seg). Prisoners spend years of isolation in tiny cells, usually 6 by 8 feet for 22 - 23.5 hours a day. In some cases the long term isolation is complete, in others it is small group isolation; both conditions are tremendously damaging to humans. The short time that they do spend outside their cell is within a cement or chain link "dog pen" that lacks any kind of equipment and proper space for physical exercise. Participation in programs including religious services, educational programs, work and job training, congregate dining and exercise are all prohibited. Medical care is also greatly limited. 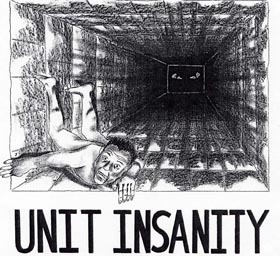 Control units may vary from prison to prison but they can be generally characterized as: Permanently designated prisons or cells in prisons that lock prisoners up in solitary or small group confinement for 22 or more hours a day with no congregate dining, exercise or other services, and virtually no programs for prisoners. Prisoners are placed in control units for extended periods of time. Prisoners are usually placed in control units as an administrative measure, with no clear rules governing the moves. This makes it virtually impossible for prisoners to challenge their placement. Read more about these torture units in this article: The history of Amerika's oppressive control units. The Movie - Unlock the Box out now on DVD! This campaign to shut down control units is led by the Maoist Internationalist Ministry of Prisons.